and I was disappointed not to receive the Vichy sample! Eatsmart Snacks provided a bag of their Three Bean Garlic Hummus Tortilla Chips for the Influenster Sprout VoxBox and the littles swooned over them. Served with some salsa as an after nap snack, I was lucky enough to get a few. They devoured the bag in one sitting and within minutes. We’ll chalk that up as a win! I think The Mister and I will be picking up a few bags of the Spicy Black Bean Tortilla Chips for our next grilling night for sure! Hair Food included samples of their apricot moisturizing shampoo and conditioner which are both jammed full of nourishing ingredients. My hair has been dyed several times in the last couple of months which means moisture and good ingredients are important for me. These samples left my hair so moisturized it was almost oily. Adding product to it was simply not an option! If you have extremely dry hair, these would be fabulous for you. I definitely would not recommend it for anyone with normal hair though. 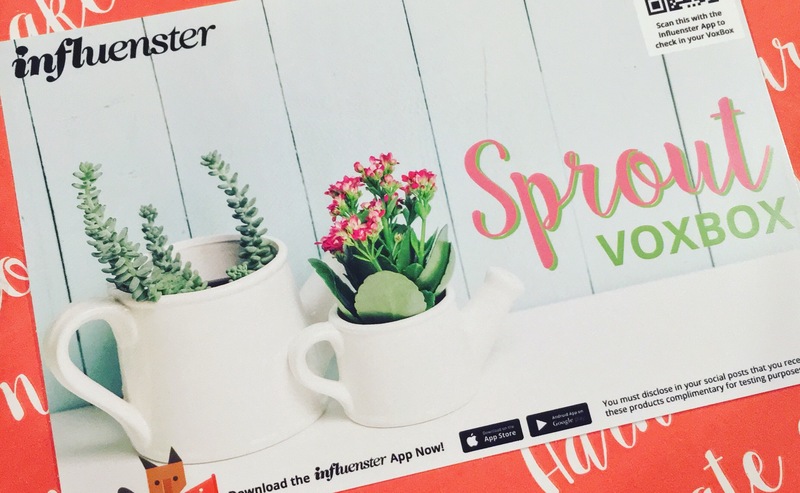 The final product in my Influenster Sprout VoxBox absolutely threw me for a loop! That was the Orgain Organic Protein Powder. Being a busy mom who needs regular healthy energy boosts, I love protein. It is sort of my thing…other than coffee, of course. The part that surprised me was the taste. Usually I have to choke down any type of vanilla powdered drinks or add them into smoothies. This one was actually really good! The kids and I all shared it one rough afternoon while waiting for The Mister to pull in after a long day of school, chores, play times, and meltdowns. I am really looking forward to trying Orgain’s lines of healthy kids shakes and Cold Brew Coffee + Protein. Coffee and protein in mocha flavors? How can you go wrong with that? !